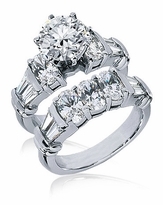 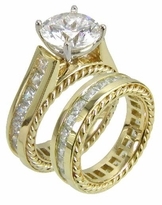 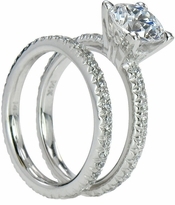 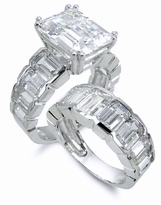 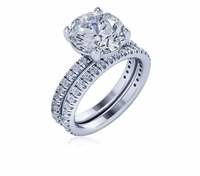 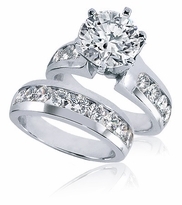 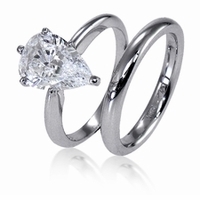 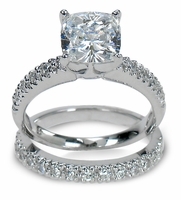 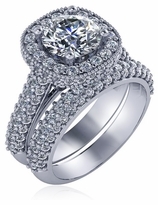 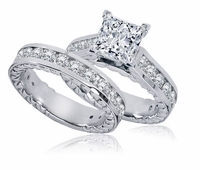 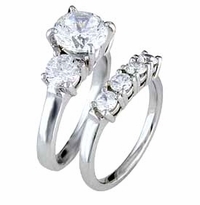 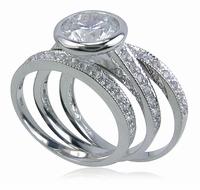 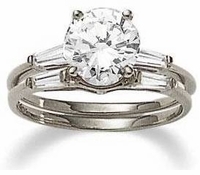 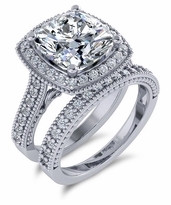 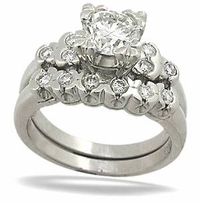 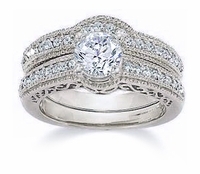 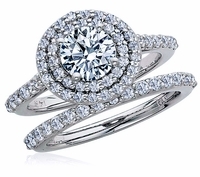 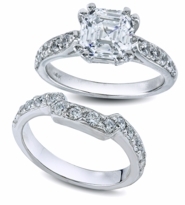 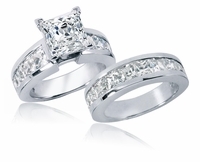 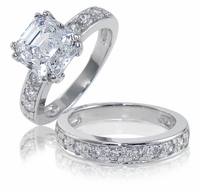 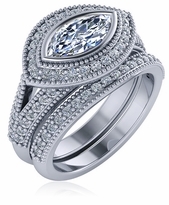 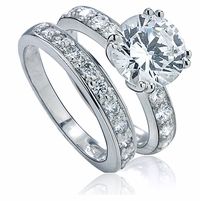 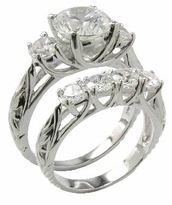 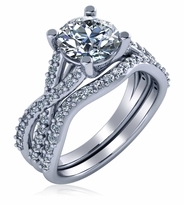 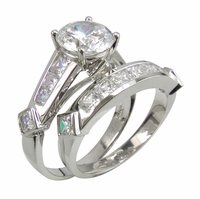 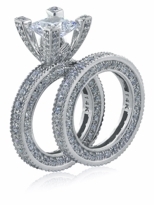 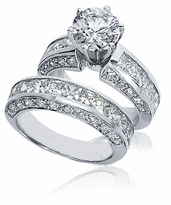 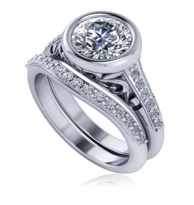 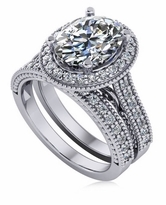 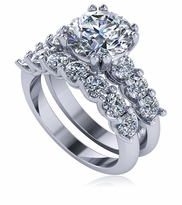 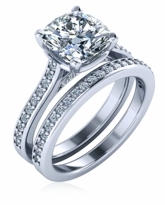 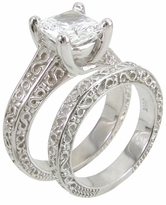 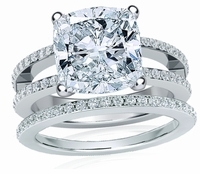 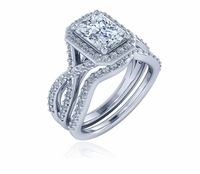 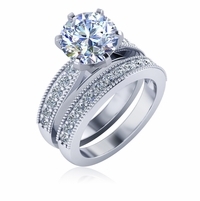 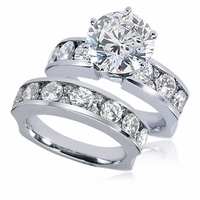 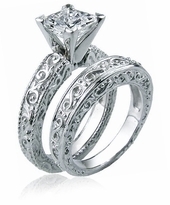 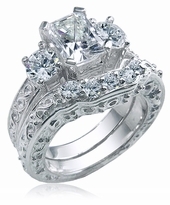 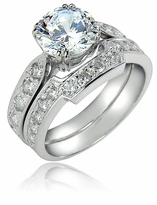 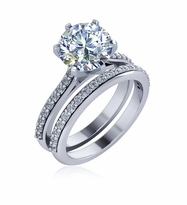 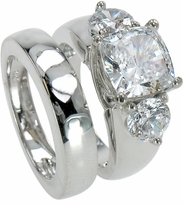 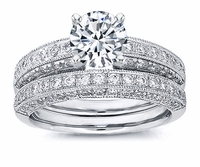 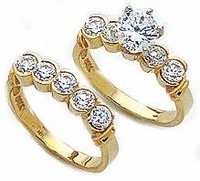 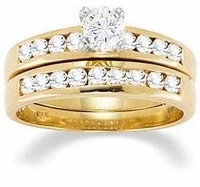 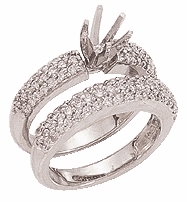 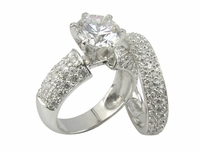 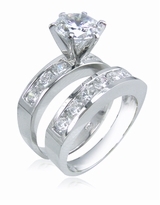 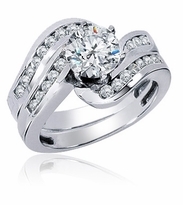 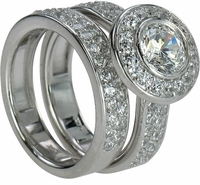 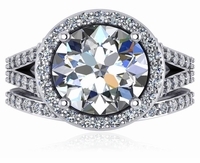 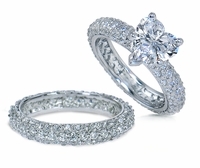 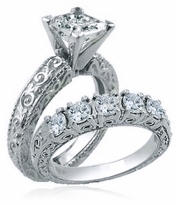 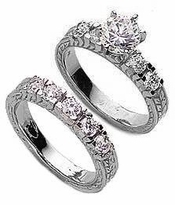 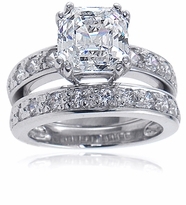 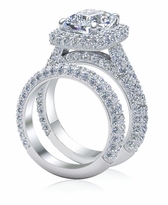 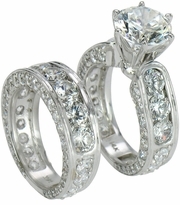 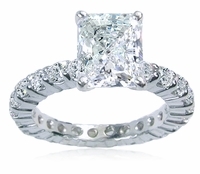 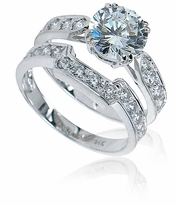 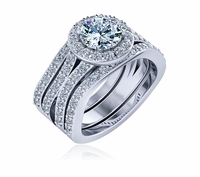 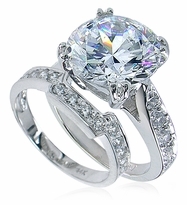 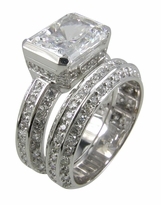 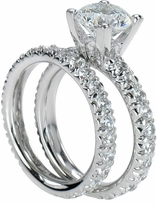 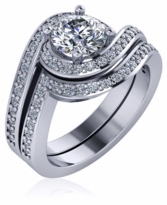 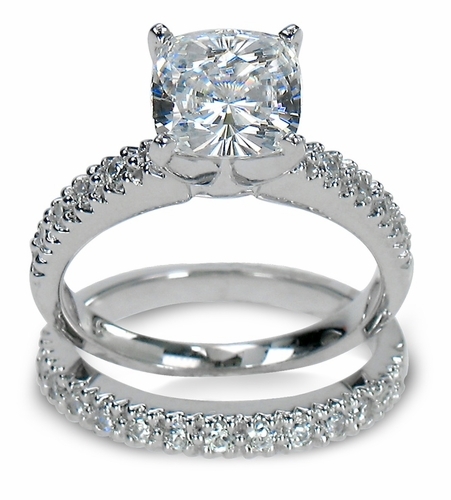 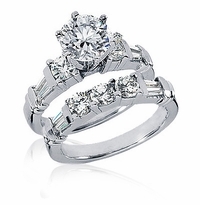 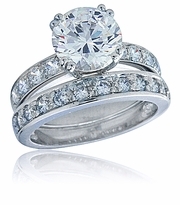 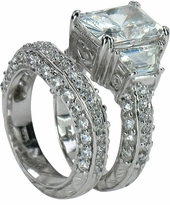 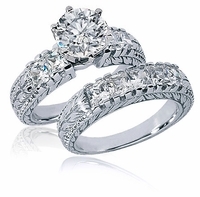 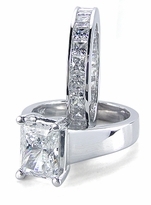 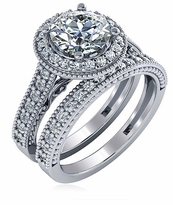 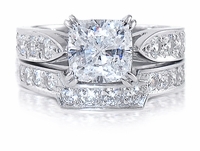 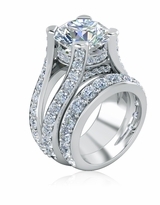 Diamond Quality Cubic Zirconia Bridal Sets and Wedding Ring Sets! 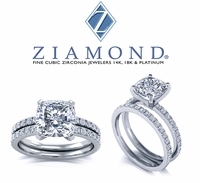 Ziamond is excited to present our Diamond Quality Cubic Zirconia Bridal Ring Sets and Wedding Ring Sets which include a engagement ring solitaire with a matching wedding band. 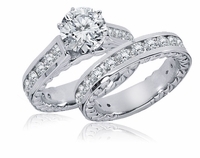 Our wedding sets feature the finest diamond quality cubic zirconia bridal ring sets available, that include top grade, Russian formula hand cut and hand polished top quality lab created man made Ziamond Cubic Zirconia stones. 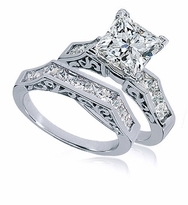 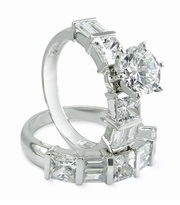 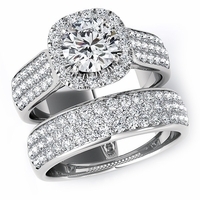 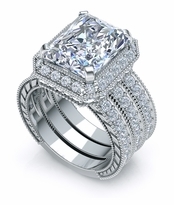 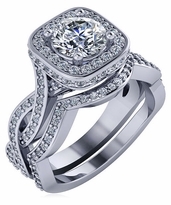 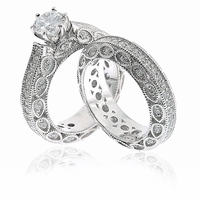 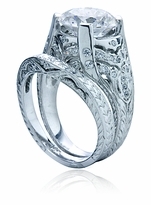 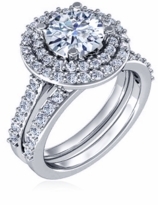 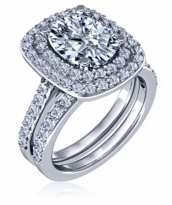 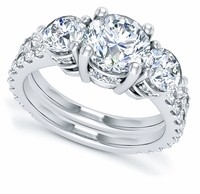 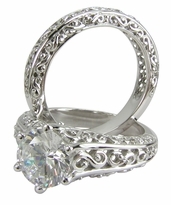 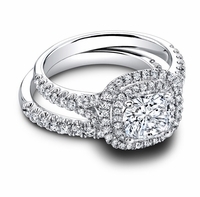 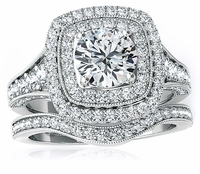 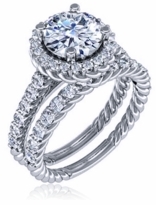 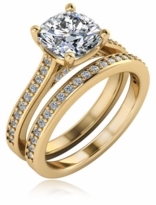 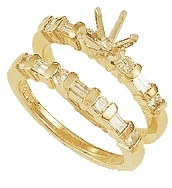 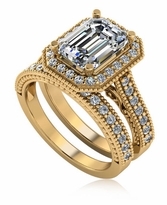 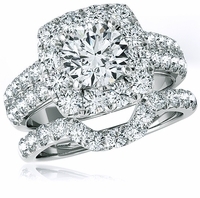 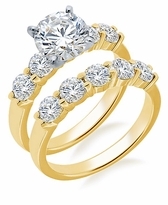 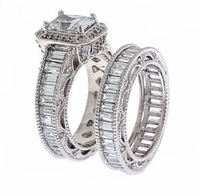 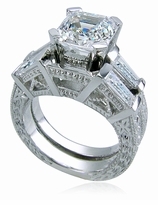 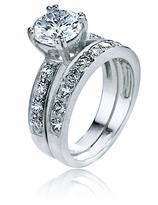 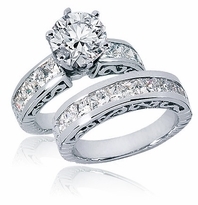 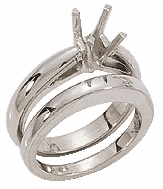 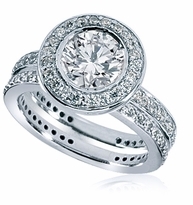 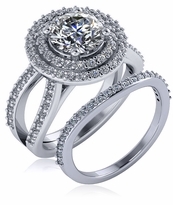 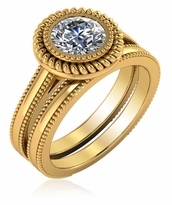 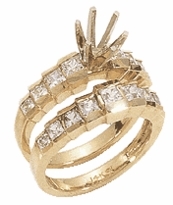 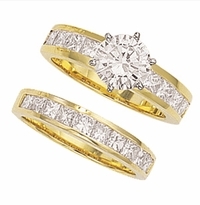 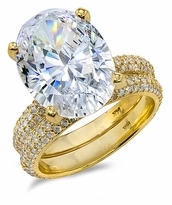 Engagement ring and wedding ring set styles range from traditional designs to contemporary models. 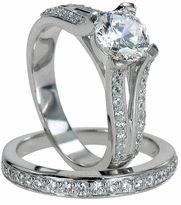 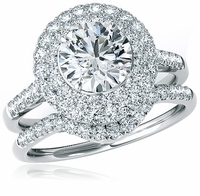 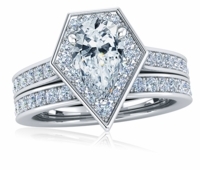 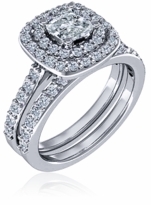 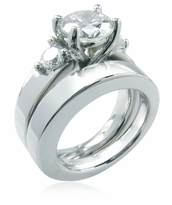 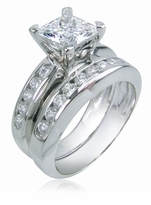 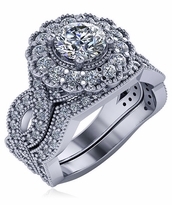 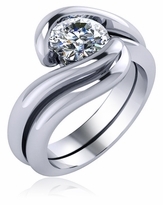 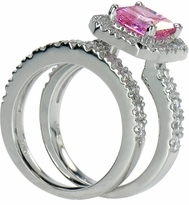 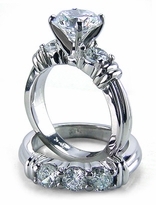 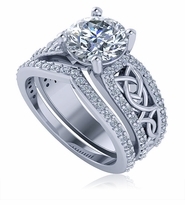 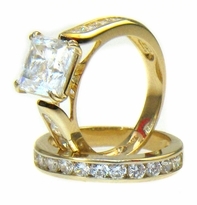 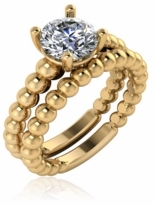 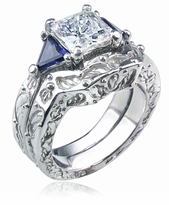 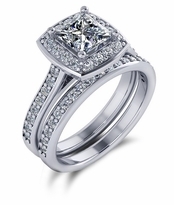 Most bridal set and wedding ring designs are available with different stone shapes and carat sizes of center stones. 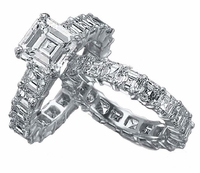 All wedding sets and bridal sets are made in solid gold 14k white gold, 14k yellow gold, 14k rose gold, 18k white gold, 18k yellow gold and luxurious Platinum.. Additional stone color options include man made ruby red, sapphire blue, and emerald green man made gemstones. 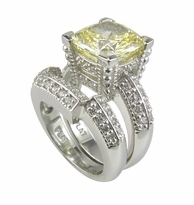 The diamond look color options include canary yellow diamond look and pink diamond look. 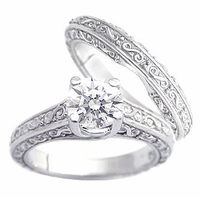 Choose from our extensive collection of classic solitaire wedding sets, baguette solitaire wedding sets, halo wedding sets and many more styles and designs. 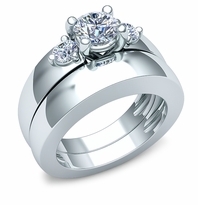 Have a custom design in mind? 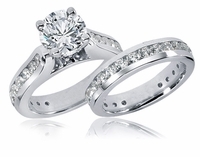 Simply give us a call or e-mail us at info@Ziamond.com with your specifications and we will be happy to give you a customized quotation on a custom wedding ring set of your dreams. 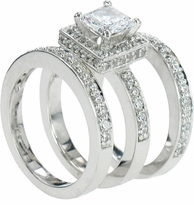 Our experienced and knowledgeable staff is also just a click away with or real time live chat feature. 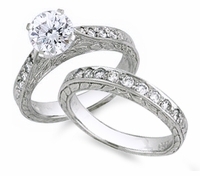 They can discuss your needs and guide you to find or create the perfect ring or bridal set for you.